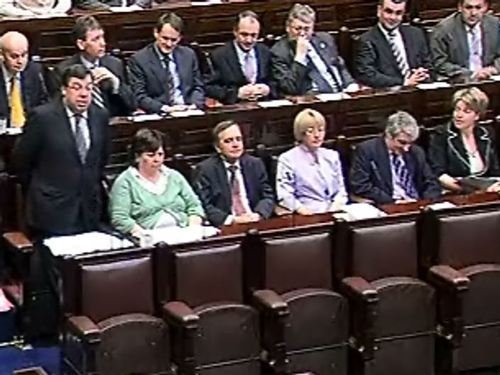 Brian Cowen said this morning that the total number on the register is now 413,500. He said the growth was the slowest rate of increase since January. In the year to June, the Central Statistics Office says there was an unadjusted increase of 197,781 people signing on the dole, which is an increase of 89.6%. This compares with an increase of 195,115 in the year to May. 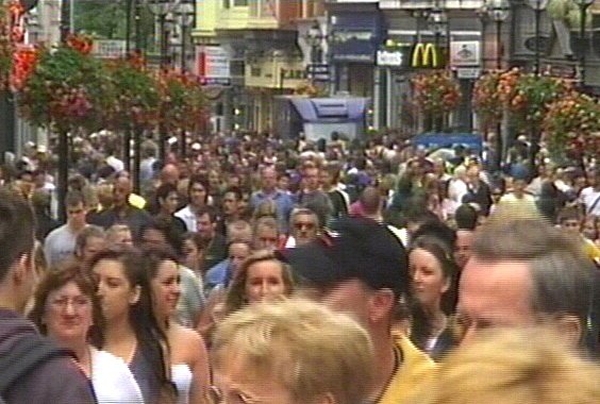 The standardised unemployment rate in June rose to 11.9% from 11.8% the previous month. June traditionally sees an increase in the numbers joining the dole as part-time teachers and other people employed in the education sector leave their jobs. Opposition leaders accused the Taoiseach of misleading the Dáil about the figures. Fine Gael leader Enda Kenny said Mr Cowen departed from the norm by quoting the seasonally adjusted numbers rather than the actual figure. He said the real increase was 21,721 rather than 11,400. Mr Kenny said the economy was in crisis and that the Department of Finance was in paralysis. Labour leader Eamon Gilmore said the Taoiseach was quoting the more attractive figure. Mr Gilmore said the Taoiseach's comments that the figure represented the slowest rate of increase this year was akin to saying the country is sinking, but sinking more slowly. Replying to a question from Mr Gilmore, the Taoiseach said he expected the unemployment rate would be in the region of 15.5% by the end of the year and that it could be higher in 2010. General Secretary of the Irish Congress of Trade Unions David Begg described the latest unemployment figures as a 'mega-crisis' and has urged the Government to invest €1bn into a job creation and protection plan.